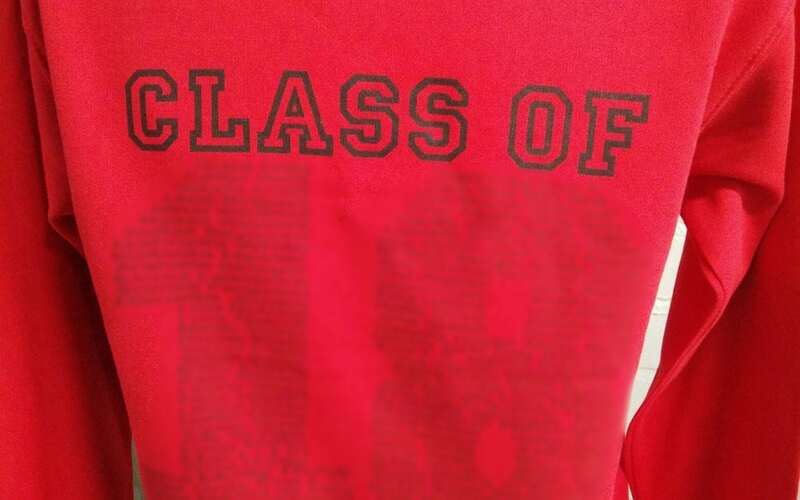 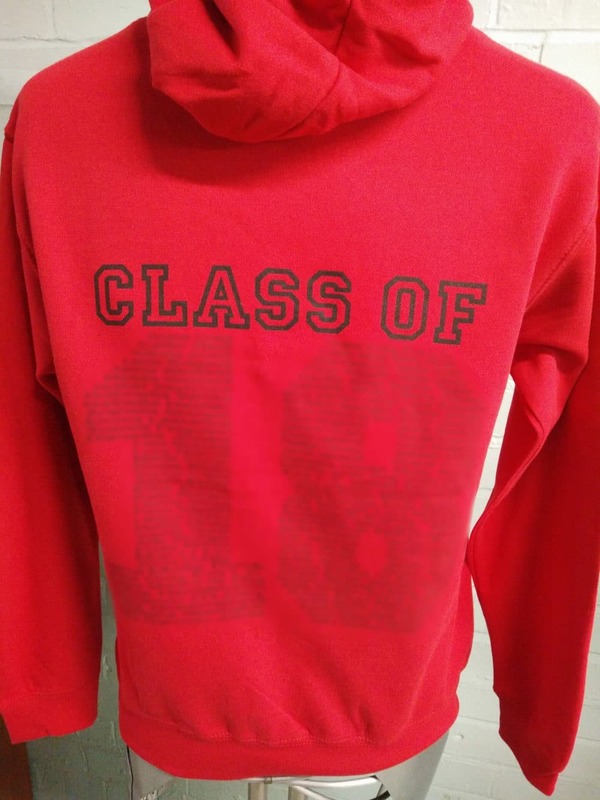 Eagles (They will rise like eagles) Red Class of 2018 Leavers Hoodies. 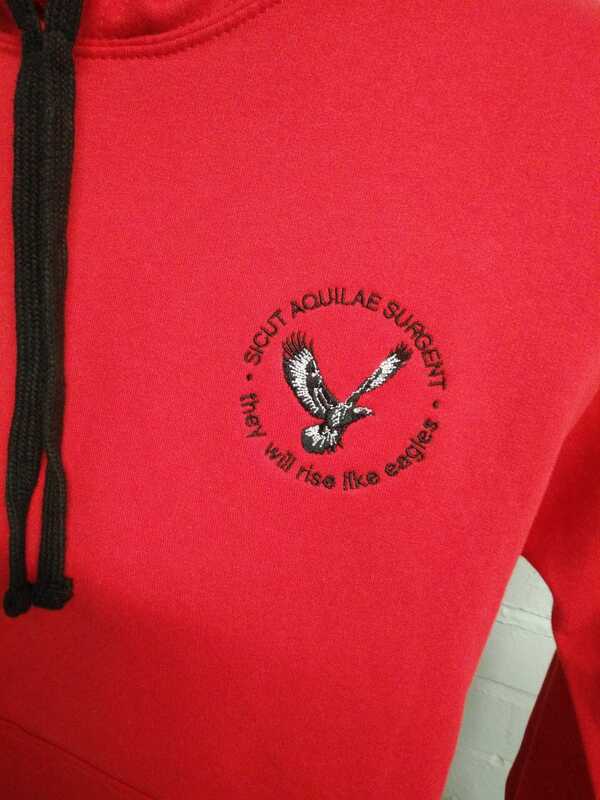 Duo colour hoodies with black strings. 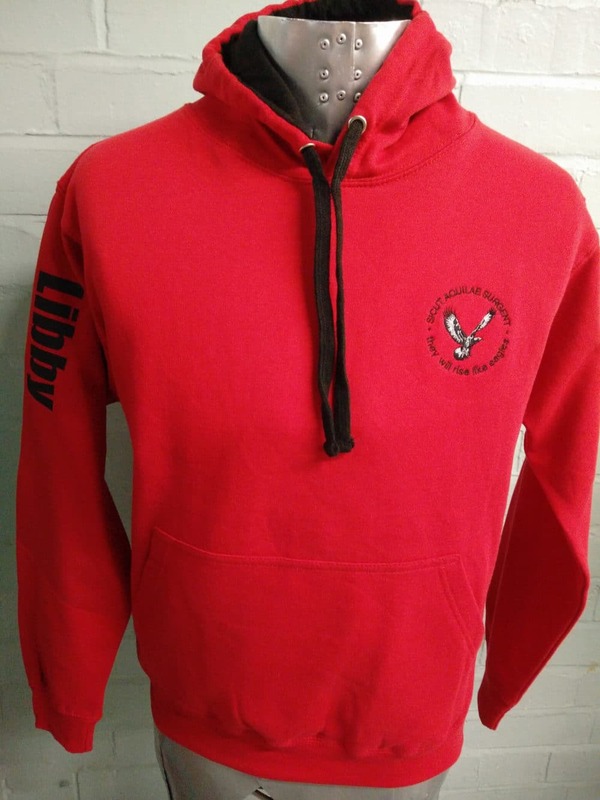 With duo colour embroidered logo on the front, custom print on the sleeve and custom Leavers print on the back.